Phyllis Margaret Logan (born 11 January 1956) is a Scottish actress, best known for playing Mrs Hughes/Carson in Downton Abbey and Lady Jane Felsham in Lovejoy. 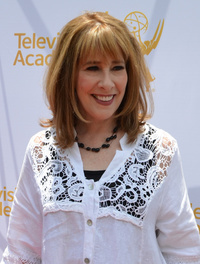 This webpage uses material from the Wikipedia article "Phyllis_Logan" and is licensed under the GNU Free Documentation License. Reality TV World is not responsible for any errors or omissions the Wikipedia article may contain.